Say it from the heart and say it with the finest quality Belgian chocolate. 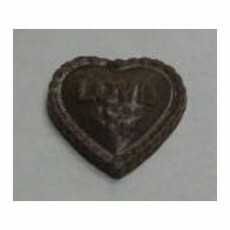 These heart shaped chocolates are available in 4 flavors - milk, dark, dark mint and white. Add a personal touch of love with customized labels printed in up to 4 colors. Have them wrapped in foil of your favorite color or packed in cello bags tied with a colored ribbon of your choice.